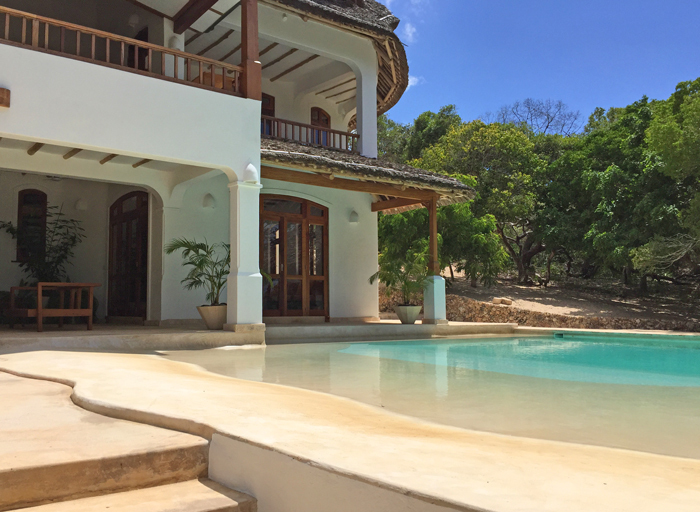 Sand Dollar is a stunning new beachfront villa with five spacious bedrooms and a large freeform pool set in a tropical garden leading straight down a sandy path to the beautiful beach of Turtle Bay and the Watamu Marine Park. Throught the villa there are areas to chill out and relax , including a large covered verandah on the terrace, wonderfully colourful with comfy sofas, another upstairs on the first floor balcony that takes advantage of the ocean views, as well as an air-conditioned TV room on the ground floor - perfect if you need to escape the heat of the day for a while. All of the bedrooms are spacious, beautifully decorated with overhead fans, fitted mosquito nets and ensuite bathrooms - all except one are air-conditioned. The top bedroom is more open, set under the eaves of the makuti roof which offers a natural cooling effect. All bedrooms have their own electronic safe. 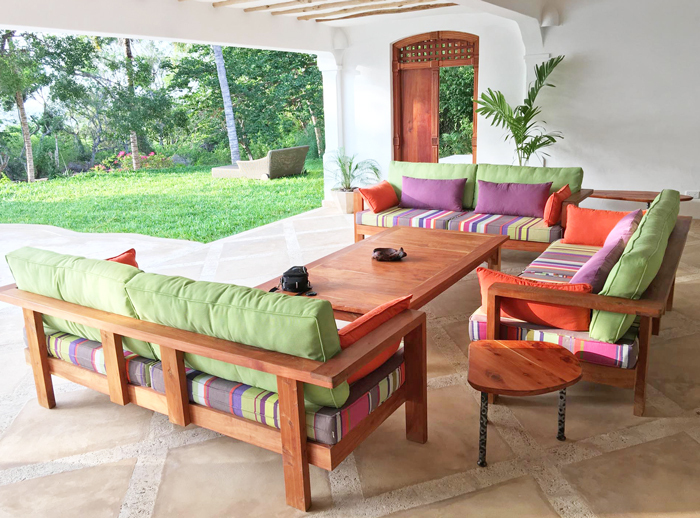 There is a inside dining area and two bars, one inside and one alongside the swimming pool area. 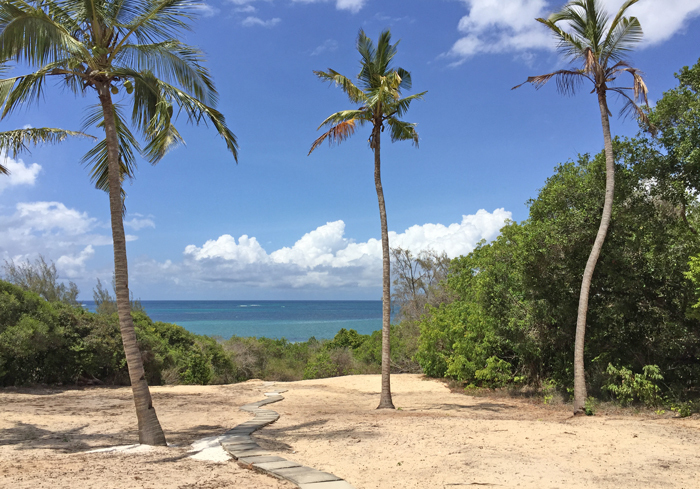 Sand Dollar is fully staffed and also includes a complimentary Personal Concierge to help you make your villa experience one to remember. A refundable security deposit of Ksh 50,000/- is required for this house.